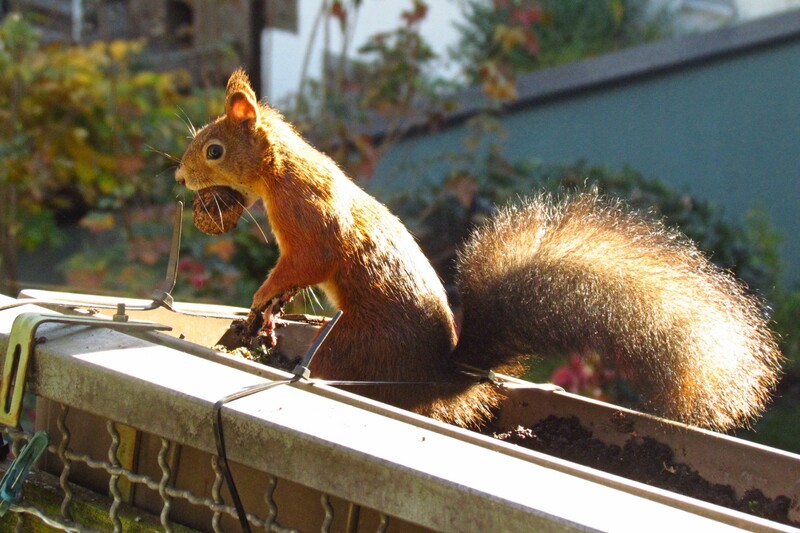 One day before, I had dug up about ten walnuts from my balcony flowerpots to get them ready for the Winter. I had put them on the balcony table and guess who showed up and re-buried them all the next day? Fortunately I was able to watch the squirrel from behind the closed balcony door and take a couple of photos – the squirrel didn’t seem to mind at all! And this time, I left the walnuts buried.